Picture this: With a (rather large) bachelorette party on the horizon, you (the planner) are buried in tasks to complete before the impending event date. The weekend gathering is being held at a casino resort in Las Vegas (Bachelor and Bachelorette party central), and with only a couple of months to vet and confirm the venue and plan the event, time is really of the essence. The only problem — the process of trying to book your group has swept you up in a whirlwind of unanswered emails, inquiry forms and getting caught up in a game of phone tag with resort sales staff. Even worse — once you get a location locked down, rooms booked and dinners scheduled, the party weekend finally arrives and your group is met with long lines, outdated technology and a rather hectic welcome process (if you could call it that). And as you can imagine, the last thing any planner wants is for a long-anticipated event to get off to a rocky start due to operational inefficiencies and avoidable frustrations. So, the question becomes — why is this such a common scenario for those guests participating in an event or meeting at a casino? Despite the steady popularity of casinos and the shiny appeal of their unique and colourful environments, casino resorts are notoriously reliant on legacy technology. This is rather problematic, as casino properties tend to be more complex in nature and attract an influx of group bookings (meetings, events, trade shows, parties, weddings) that are — you guessed it — also complex in nature. Sure, this might be "the way it has always been done” — but it’s simply not the way things should be done in today’s digital-savvy, convenience-centric climate. With this in mind, it becomes ever-important for casinos to upgrade their legacy systems (booking interface, PMS, CRM etc.) to effectively support their operational demand and keep up with guest expectations. And with the global gambling market expected to reach revenues of over $525 billion by 2023, and the on-going growth of the meeting and events segment (especially in the case of casinos), the time to upgrade is now. By shifting away from legacy systems, resort properties finally enter a world of cloud-based, digital-friendly service that offsets operational/administrative load and, in turn, frees up staff to offer an enhanced guest experience. From a pre-stay perspective, this becomes especially important as properties look to better market their venue space to prospective planners, groups and events. Utilising a modern group booking platform, casino resorts can advertise real-time availability, offer 3D virtual tours, accept instant RFPs/online bookings and payments, streamline communications and so much more. That initial process of chasing down contacts on the phone or waiting for an email reply? A thing of the past. Everything can be done within a comprehensive, easy to use online platform that helps to effectively expedite the group booking process. Pair this with the implementation of an updated PMS and/or CRM platform, and properties can offer pre-arrival communications for enhanced organisation, mobile check-in/out, mobile concierge, etc. With more effective and attentive service, comes more satisfied guests (even if they aren’t hitting their stride on the casino floor). In addition, it’s important to recognise that the modern casino landscape is changing. While casino resorts could rely on their gambling floor to drive the majority of their revenue in the past, modern travelers are now showing increased preference for non-gambling experiences. In fact, in 2016 32.24% of revenue was from gambling, compared to a much higher 58.63% in 1984. 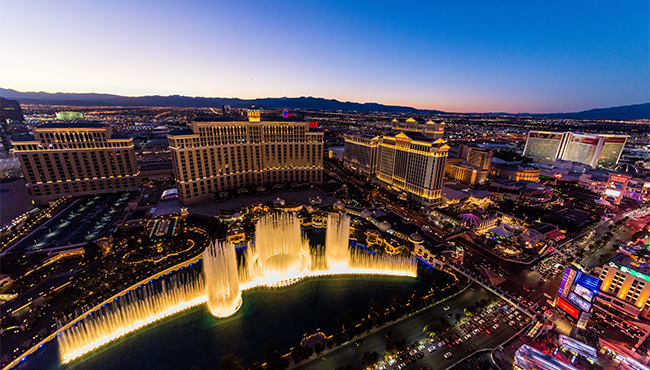 With so many millennial travelers and event attendees seeking out enhanced amenities, nightclubs, local experiences and more, in addition to casino access, the provision of customisable packages and flexibility in offerings becomes paramount. Casinos may represent a popular venue space for trade shows and conferences; however, these events will require more from the space than basic access to slots and blackjack tables. Modern planners and their guest require a more attentive and personalised service model, supported by both new generation technology and high-touch, personalised service. With booking technology in place that allows for easy customised packages (such as food and beverage, wellness or entertainment packages, room styles, etc. ), planners can readily curate the desired experience for their event. As of late, the hospitality industry has made impressive strides in its adoption of next generation technology to enhance the guest experience — and casinos should be no exception. By taking a more digital-centric stance and shifting away from outdated, legacy systems, resorts can finally offer guests a consistently exceptional experience with ease, no matter the event.